Welcome to the July Stamp of the Month Blog Hop!! 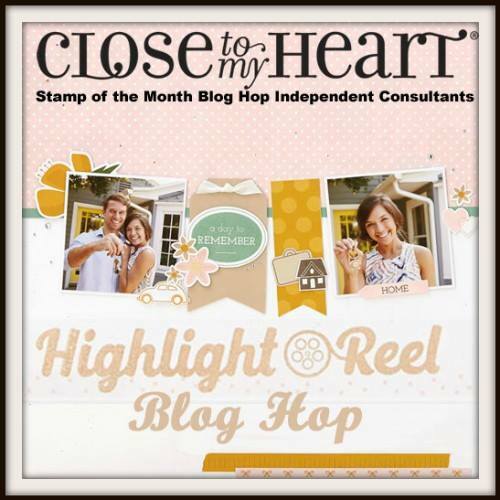 This month's stamp is Highlight Reel. This fun stamp set has 23 images!! 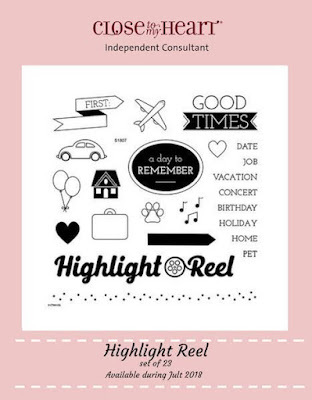 If you came from Sarah Devendorf's Blog you are on the right track! The hop is one big circle so when you get back to me you will know you have completed the hop! If you get lost along the way, you can see the entire list of participants HERE. My Husband and I took a trip to Puerto Vallerta (courtsey of Close To My Heart) in February, my youngest daughter got married in May, in June we moved and who can forget the Total Eclipse!! To create my film reel, I cut a big 8" circle in Design Space with smaller 2" circles inside out of our Gold Foil paper to replicate a reel of film. My film strip is actually an image from our Artbooking cricut cartridge. I sized it to almost fit across the page. I cut this from Pansy cardstock. Remember!! You can get the Highlight Reel stamp set for just $5 with a $50 purchase! 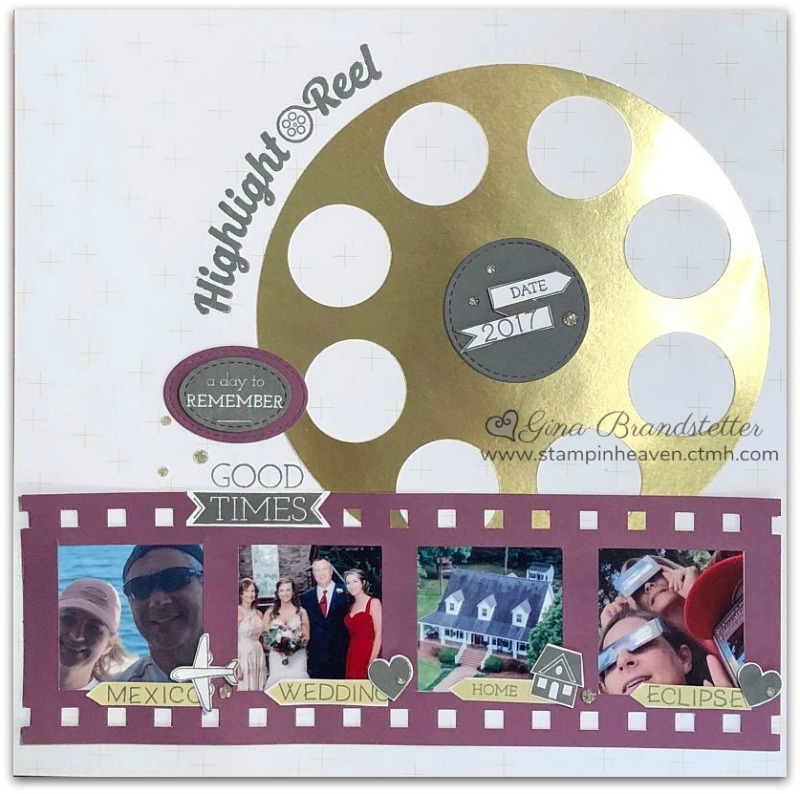 Awesome layout - the gold foil reel - super!! film strip - wonderful! - I love everything about it!! Fabulous! I too love the reel and film strip. Very clever! Love it! I did the cover for the scrapbook too! I love the film strip and film roll thingy, so great! Wonderful idea! I'll be saving this one for inspiration for a future page in my scrapbook! Beautiful pics on a great layout! This is an absolutely wonderful idea for a cover page! Love this layout!! It is awesome for a cover page! Such a great title page! I love all the elements that you used.